The little one lane village of Sagada is visited by tourists as a launching point to the surrounding country side - most specifically to see the hanging coffins. This landmark is an unusual sight - coffins nailed into boulders - an ancient tradition practiced by the Igorot Tribe in the Norther Philippines. We took off in the morning, and after a visit to the large cathedral like church, we headed into the jungle path towards the hanging coffins and a series of waterfalls and rice fields. After our day we relaxed with a glass of local rice wine in a small restaurant. Sagada is a lovely and remote mountain village nestled into a valley in the Northern Philippines. After leaving Baguio we hopped onto another local bus and headed further north into the village of Sagada where we spend three days exploring the tiny village (complete with one main road) and the surrounding mountainous country side. Baguio is known by the local Filipinos as the Summer Capital - the perfect place to spend a weekend away from the heat of Manila and the surrounding lowlands in the Philippines. We arrived into Baguio at the end of the Flower Festival, a very festive and lively time in the city, where locals and Filipino tourists come together to celebrate the colorful flowers and vegetation that grows around the region. I wandered around the city watching as visitors enjoyed street food and flower floats in the park. Children dressed up in the costume of the local villagers and families hopped aboard swan shaped paddle boats for cruising in the small lake. It was a wonderful experience to see Baguio alive and energetic! There are not too many 'must see' places in the city of Manila - but Intramuros and Chinatown are two places that many visitors check out while spending time in the big city. As I only had one full day to explore Manila I set out to see both Intramuros in the morning and Chinatown in the afternoon, and with a fast pace I was able to see both spots during my time. Intramuros, also known as the Walled City, is the oldest district and the historic center of Manila, and during the Spanish Colonization Period this area was the city of Manila. 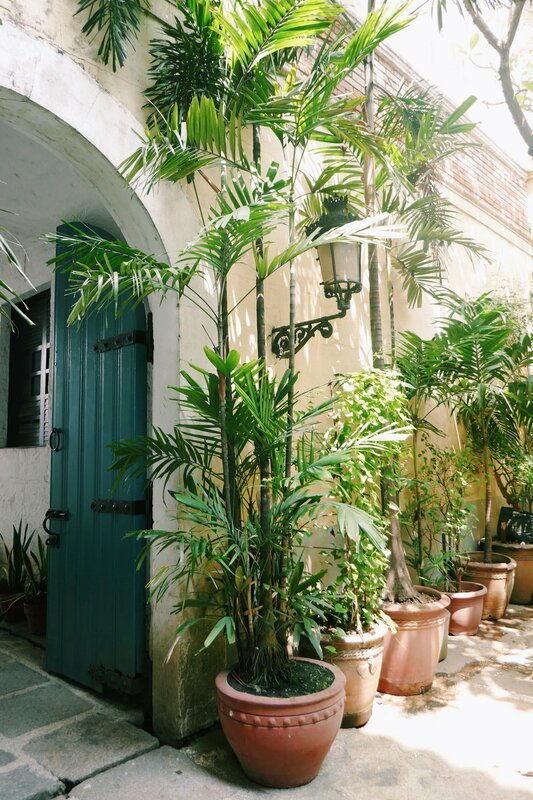 I loved wandering around the cobblestone streets lined with palm trees taking in the historical setting and stopping for a local meal of rice and Adobo. Chinatown was a bit more chaotic! Chinatown, also known as Binondo, is the oldest Chinatown in the world, and I could feel the layers upon layers of history as I walked around the streets. There were so many smells, colors, and movements to experience while I spent time in Binondo it was actually quite overwhelming as a visitor - I ended up cutting my time short after an hour and headed back towards my hostel for a relaxing evening on the rooftop with new friends! Manila is a world of its own - hectic streets, local neighborhoods, children running wild and free! While I only had one full day to explore the city of Manila, I managed to fit a lot of action into 24 hours in the big city before heading up into the Northern Philippines. I started my morning with a quick hostel breakfast (nothing to write home about!) and headed out on my own two feet to explore the city. Many visitors tend to just see Chinatown and Intramuros but while I was wandering around I saw a whole different side to the city of Manila - a vibrant and lively local Manila!